The direct government aid will compensate farmers for market losses caused by Chinese tariffs. U.S. farmers will get $4.7 billion in a first round of direct government aid to compensate for market losses caused by Chinese tariffs in a trade war that’s hurting some of President Trump’s core supporters. Growers of soybeans, the hardest hit, will get $3.6 billion, according to the plan the government released Monday. Pork will receive the second-highest payment of $290 million, and dairy producers are also eligible for assistance, the U.S. Department of Agriculture said. Sorghum, corn, wheat and cotton producers will also receive aid of different amounts based on the same formula. Signups will start Sept. 4, Agriculture Secretary Sonny Perdue said, just as harvest season begins and before the Nov. 6 congressional elections in which rural districts may play a key role in determining which party controls Congress. Payments may start going out as soon as mid-September. The Trump administration “will not stand by while farmers are targeted by countries who are acting in bad faith,” Perdue said on a conference call. The USDA will spend an additional $200 million promoting U.S. agricultural exports as part of the aid. The government also will step up commodity purchases to help boost prices, making at least $1.2 billion of purchases, including $559 million of pork. The total size of the package, which the department estimated at $12 billion when it was announced last month, may be less than that should trade conditions change. 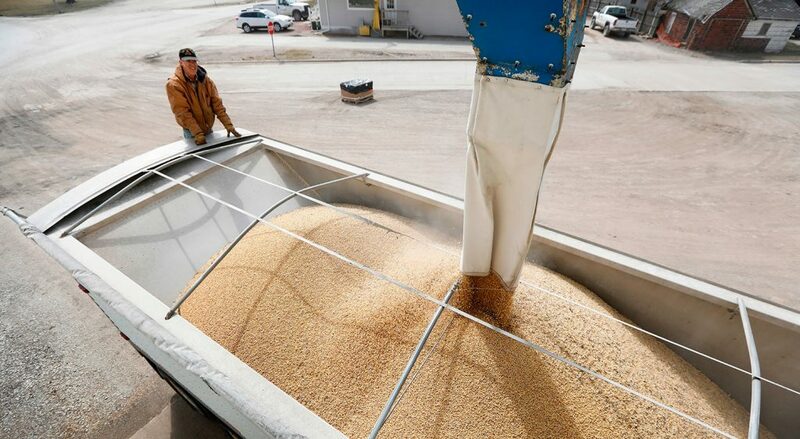 Extra farm aid would help producers who are seeing prices drop and inventories rise because of disputes with China, Canada and other trade partners who are significant purchasers of U.S. pork, soybeans and other crops. Farmers are a key part of the rural political base that elected Trump, who has promised they will emerge better off from a trade war. Still, an extended trade dispute that lingers into the fall harvest – and the election – holds the potential to shake that support.